first appeared in "Dig This" in December 2006. 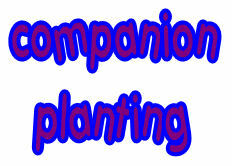 There is already a section on companion planting and a section on herbs, but I thought it would be useful to gather together information which herbs make good or bad companions. 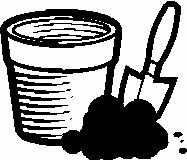 Many books allude to the desirability of moving away from monoculture without actually giving much practical information on what to plant where. I think it is useful to plant herbs all over the place, and the following chart will help in locating them. Having said that, certain herbs are generally looked upon as being useful, namely borage, chives, dill,hyssop,lavender,marjoram, parsley, sage and tarragon.In terms of cuisine Basil and Doyle recommend the French variety as the Russian one is poor tasting by comparison. It is not available in seed form but must be propagated.